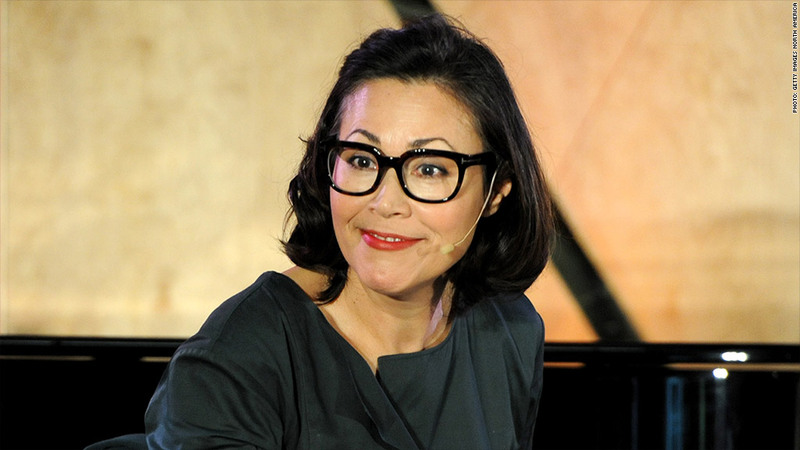 Two and a half years after she was sidelined at NBC News, Ann Curry is officially leaving the network. NBC announced Tuesday afternoon that Curry was giving up her correspondent position and establishing an outside production company. In a statement, Curry said she wants to produce "both scripted and non-scripted content, in addition to continuing to report on-air about stories that matter." NBC said it would maintain a relationship with Curry, though details were scarce. A press release said NBC would help finance a "reporting and content venture" that Curry is developing. But the announcement has all the makings of a slow-motion breakup. It was previewed by the New York Post's Page Six column, which said there have been "weeks of negotiations to end her contract." Curry joined NBC 25 years ago, in 1990, initially as a Chicago correspondent. She soon became a host, and spent 14 years as the news reader on NBC's famed "Today" show. But Curry was forced off "Today" in June 2012, one year after she was appointed to the main co-host chair alongside Matt Lauer. Curry had been seeking the job for years, and she was heartbroken to lose it. Her painful sign-off exacerbated problems at "Today," and the show soon found itself stuck in second place in the morning show ratings race behind ABC's "Good Morning America," where it remains to this day. At the time of her dismissal from "Today," Curry was named an "national and international correspondent" for NBC News. But this was largely a face-saving move. She rarely appeared on the network in 2013 and 2014. Her last news report on the network was in November. One longtime NBC staffer recently said Curry "comes and goes in secret," sometimes wearing giant sunglasses that hide her face. Rumors about her departure have been rampant for months. An NBC News executive, speaking on condition of anonymity, said her last day at the network is unknown. Pat Fili-Krushel, the chairman of the NBCUniversal News Group, said in a statement that "we're proud to support Ann in her new venture, and we look forward to more of her exceptional storytelling." Of NBC, Curry said, "I look forward to what we will do ahead." "At the same time, I can't wait to expand my reach and work with people I admire in other places," she said. Soledad O'Brien struck a similar deal with CNN, the parent of this web site, when she left CNN and formed a production company.